Welcome to our website. We are San Diego Broadband. 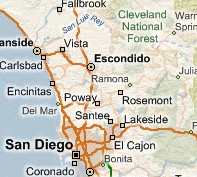 We provide North County communities with Internet access where other options are limited. Our carrier grade infrastructure provides up to 100mbps of bandwidth providing alternatives to traditional last mile copper and cable solutions. Call us at 760-621-3801 to determine availability at your location. We can provide on-site surveys and real link tests to validate performance before you signup. All residential packages come with a 30 day no commit trial to gain your trust and show you how we outperform many of the other providers. Check out our Residential and Business packages. Use this mapping tool to show us where you want the internet to be delivered. Do you have property to lease? Contact us today for revenue sharing opportunities. Your business needs a better internet connection today. We can provide customized solutions for your business. We can provide high speed broadband to rural areas that other providers don't service. High speed wireless that beats most other options.